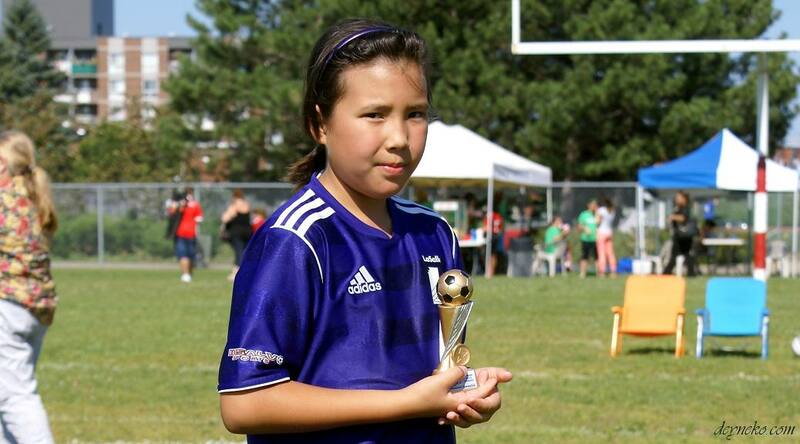 There is soccer in LaSalle for girls and Alice became interested in it two years ago. She has already played two seasons for the Denmark team and for Norway team. And she looked forward to this 2014 soccer’s season. 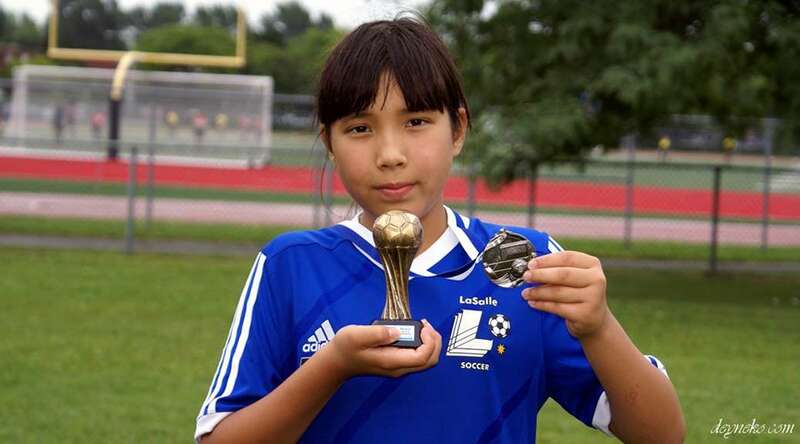 Alice started play girls soccer in Lasalle in the Summer 2012 you can read about it and see pictures in an article “Soccer for girls in Lasalle“. She played in Denmark team (yellow t-shirts). Last season was extremely difficult for her as well for her team because there was not constant team coach, team constantly lost their games so why lot of team’s player gave up. It led to inability to changes of players during the games in the hot summer in compare of enemy teams! Players from her team were really exhausted after games. Международный прием честь 8-летия Алисы состоялся 23 декабря 2011г в Ласалле (Канада). В празднике приняли участие представители из России, Канады, Китая, Бельгии, Ганны.